The Lower House Wednesday approved a record ¥97.71 trillion ($912 billion) budget for fiscal 2018, ensuring its enactment before the new fiscal year starts on April 1. About a third of the total, or ¥32.97 trillion, is earmarked for social security spending amid the graying of the population, while ¥5.19 trillion is earmarked for defense spending, which will increase to bolster capabilities to cope with North Korea’s nuclear and missile threats. The budget is a record high for the sixth straight year despite debt-ridden Japan’s need to restore its fiscal health, the worst among advanced economies. The bill was initially expected to be approved in the Lower House Tuesday but passage was delayed as disputes between the ruling and opposition parties over a labor reform bill affected deliberations on the budget. 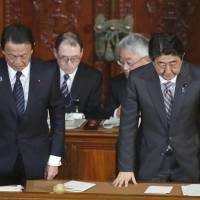 Having cleared the House of Representatives, the budget will be sent to the House of Councillors. 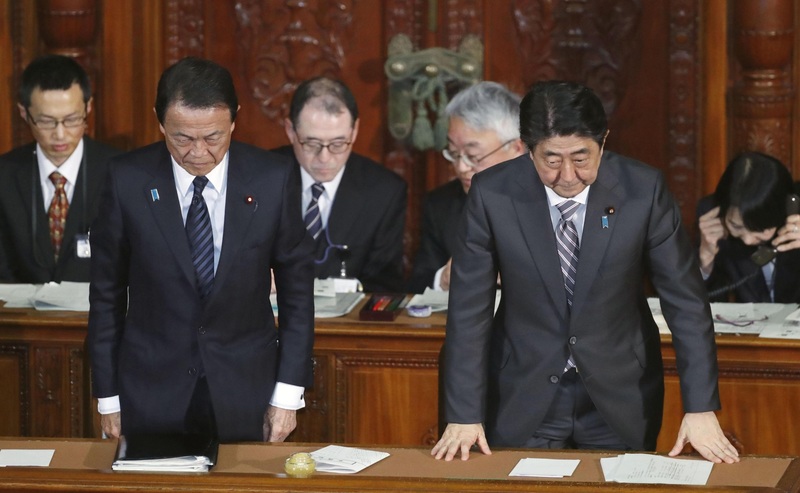 The budget is certain to be enacted before fiscal 2017 ends on March 31 as Japan’s Constitution stipulates automatic enactment of a budget 30 days after it is sent to the Upper House. Lower House resolutions override those of the Upper House. For fiscal 2018, the government managed to meet its target of limiting the year-on-year rise in social security spending to ¥500 billion after a review of medical and nursing care fees. Excluding ¥23.30 trillion debt-servicing costs, a record high ¥74.41 trillion is earmarked for policy spending. The budget also includes funds for more day-care centers for children as Prime Minister Shinzo Abe has pledged to resolve the shortage of such facilities. Japan’s dependence on debt has been falling slightly in recent years. The government plans to issue fewer bonds than in the initial fiscal 2017 budget, but the amount still stands at ¥33.69 trillion.